Hot Snakes' Suicide Invoice is one of my favorite albums. In my music collection, I've got representatives from every genre, but a sound that's sorely lacking is rock. Not classic rock, not psych rock, not rock n' roll, but just rock. It's so hard to find a good band these days that just rocks. Fortunately the Hot Snakes were ready for that complaint. However, as good as that album was, I couldn't get into their next, Audit In Progress. I thought they sped it up too much, didn't spend enough time writing, and just weren't feeling it enough. Of course, it wasn't all bad - in the middle was a good stretch of tracks, the best of which was "Hatchet Job." I won't waste time describing the sound too much to you - basically just awesome, tight playing on the bass and guitars front, with real rhythm guitar and melody guitar integration, part of what made Suicide Invoice so good. The singer half sings, half barks the lyrics, just the way I liked it before (his vocals on Audit In Progress sound lackluster in general), and the song itself mutates and progresses, unlike its friends on the album, which went for a more punk-ish feel with less melody and travel. In any case, it's a good addition to anyone's library, so give it a whirl and if you feel more charitable than I toward their newer sound, go get yourself the album. 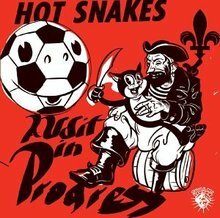 Here's "Hatchet Job," by Hot Snakes. I didn't already review this album, did I? My memory is starting to go. I thought they sped it up too much, didn't spend enough time writing, and just weren't feeling it enough. One foot flat violets, violet but fragrance stayed in the feet, it is to forgive. Nothing makes a better statement for your sports bar than the appearance of a signed NFL jersey up on the wall. You might want to have a jersey handy and ask a pro player to pay your bar a visit. Nowadays, cheap luggages, cheap purses, cheap backpack and wholesale wallets are hot selling in many online stores. As a wholesaler of purses handbags, here is famous for selling wholesale juicy couture handbags, wholesale chanel handbags, wholesale coach handbags, wholesale gucci handbags, wholesale louis vuitton handbags and cheap dolce and gabbana handbags and many customers grab time to buy their favorites at a large discount price.